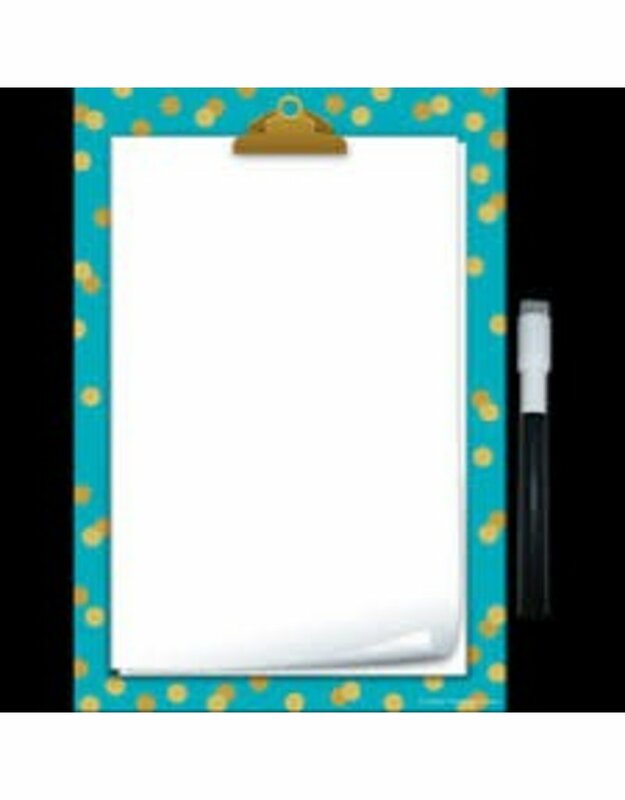 Clingy Thingies® Teal Confetti Note Sheet includes one dry-erase pen that clings to note sheet and features a built-in eraser. Write-on/wipe-off surface. Measures 7" x 10".